Family of murderer of Ari Fuld say they warned PA security services son intended to commit terror attack. 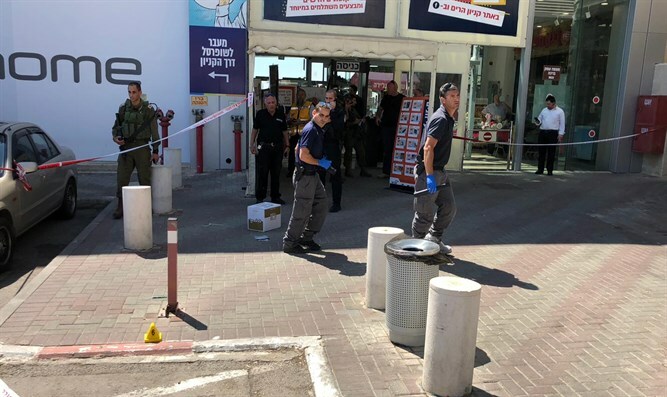 The family of the terrorist who murdered Ari Fuld this morning at the Gush Etzion Junction stated that they had informed the security services of the Palestinian Authority that their son intended to carry out a terrorist attack. According to the family, the terrorist, a 17-year-old from the village of Yatta near Hevron, had intended to carry out a stabbing by the Cave of the Patriarchs in Hevron. "We informed the security forces that he wanted to carry out an attack," said Khalil Yusef 'Ali Jabarin, the young man's father. The family may be attempting to avoid the demolition of their home in response to the murder by showing that they do not support their son's actions. According to Arab media, the terrorist's mother arrived minutes before the attack at the Meitar checkpoint and said she was afraid her son might carry out an attack, but claimed she did not know where the attack would occur. Fuld, 45, was a resident of Efrat and father of four. After he was stabbed, he still chased and shot the terrorist who wounded him. He was later evacuated to Shaare Tzedek hospital in Jerusalem in critical condition. He was declared dead at the hospital. US Ambassador to Israel David Friedman condemned the terrorist attack. “America grieves as one of its citizens was brutally murdered by a Palestinian terrorist,” Ambassador Friedman tweeted.